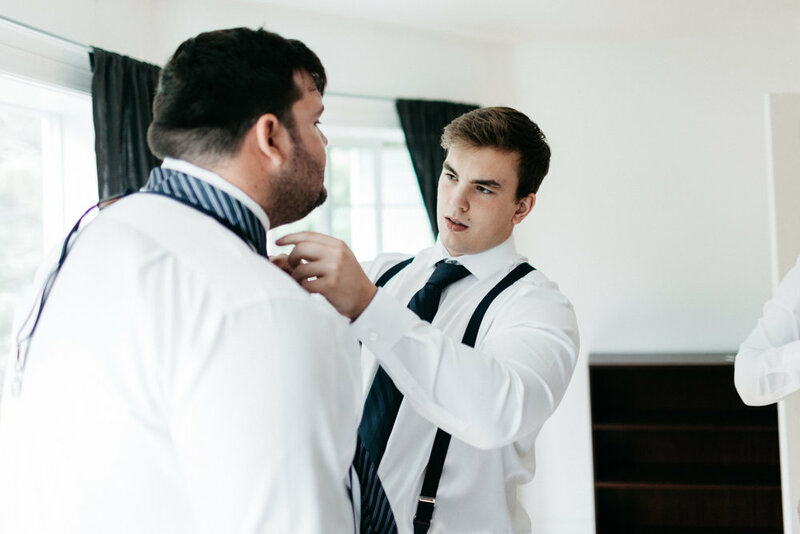 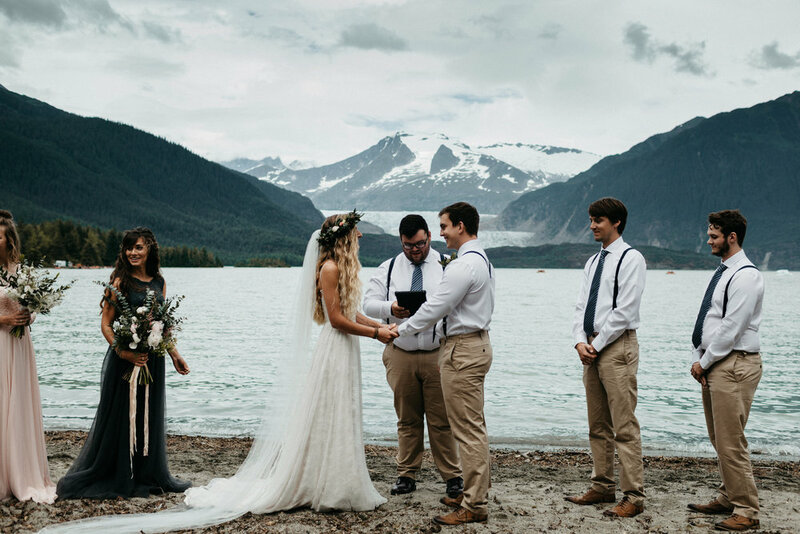 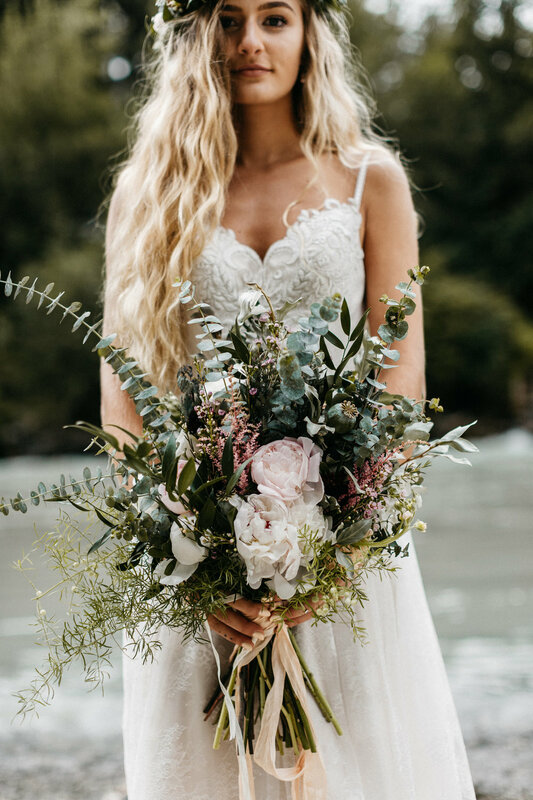 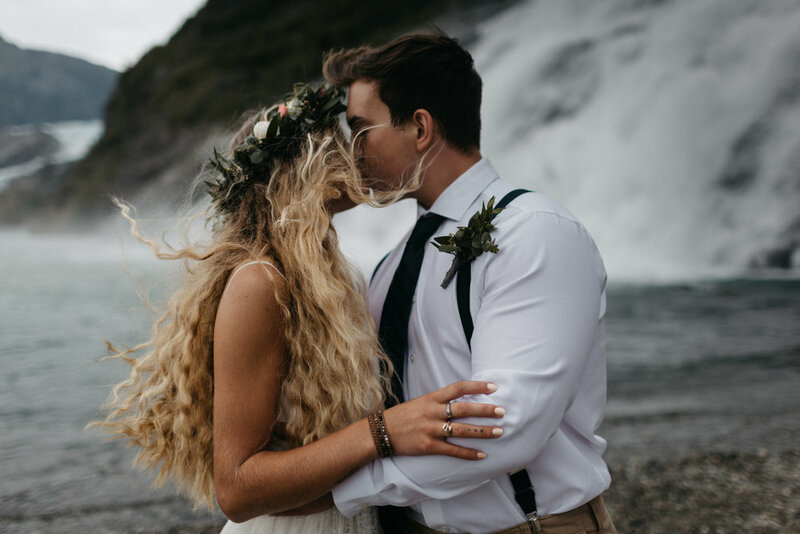 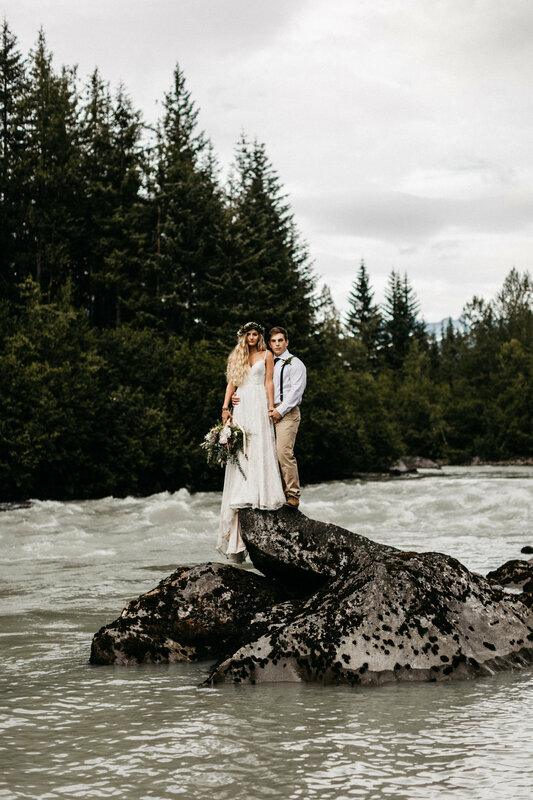 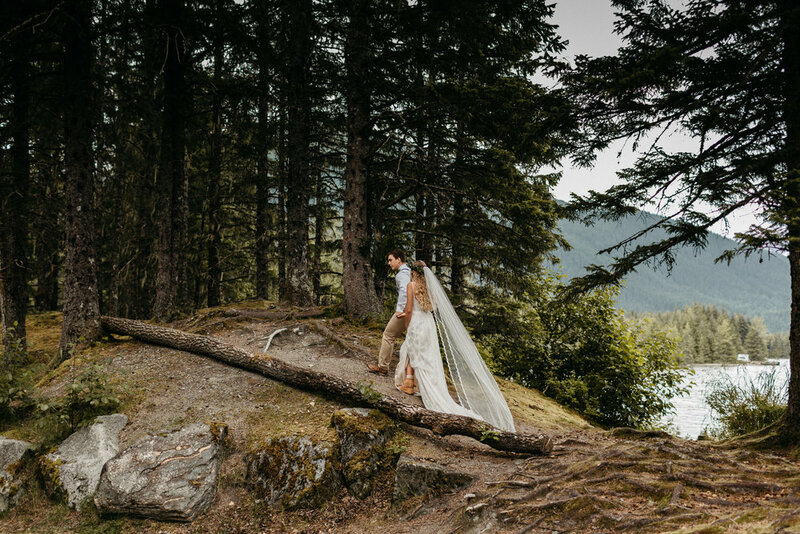 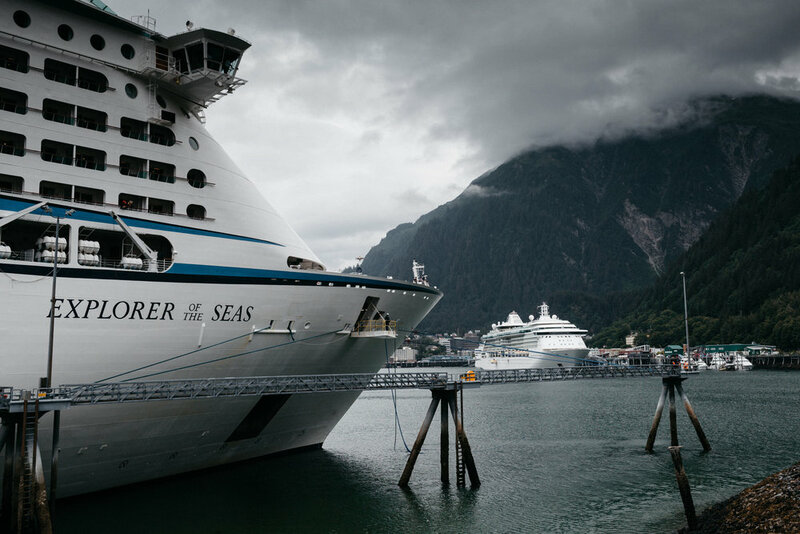 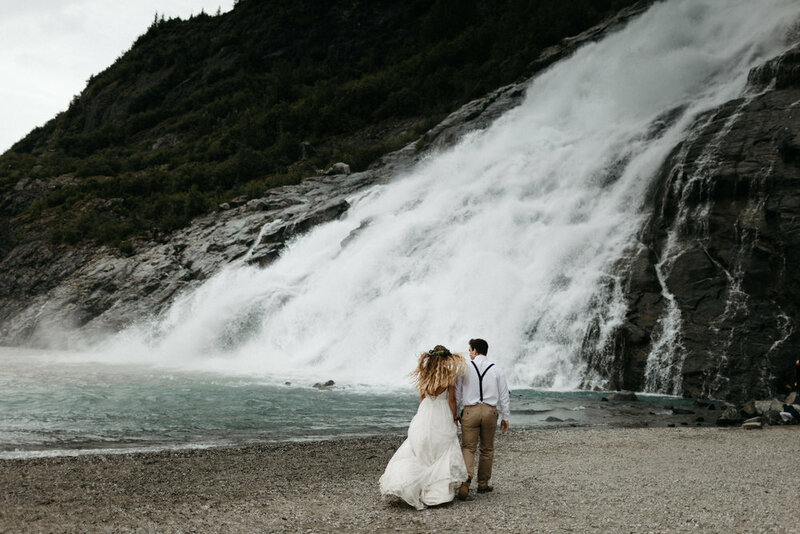 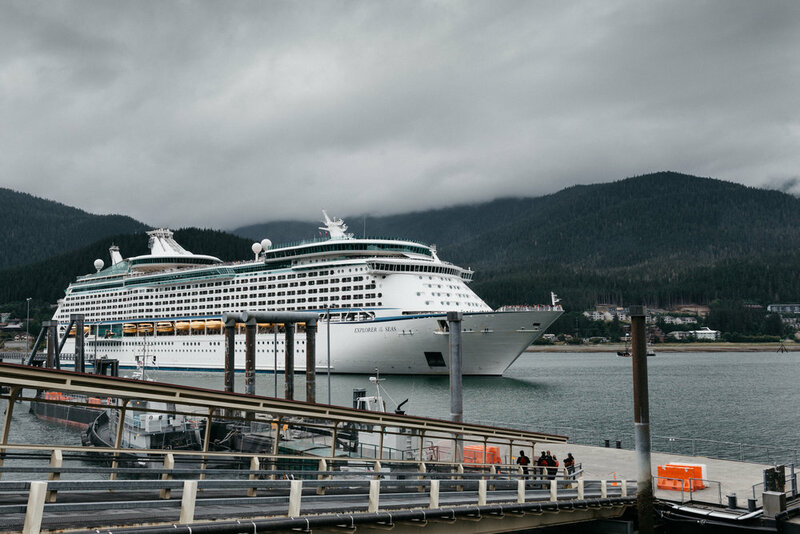 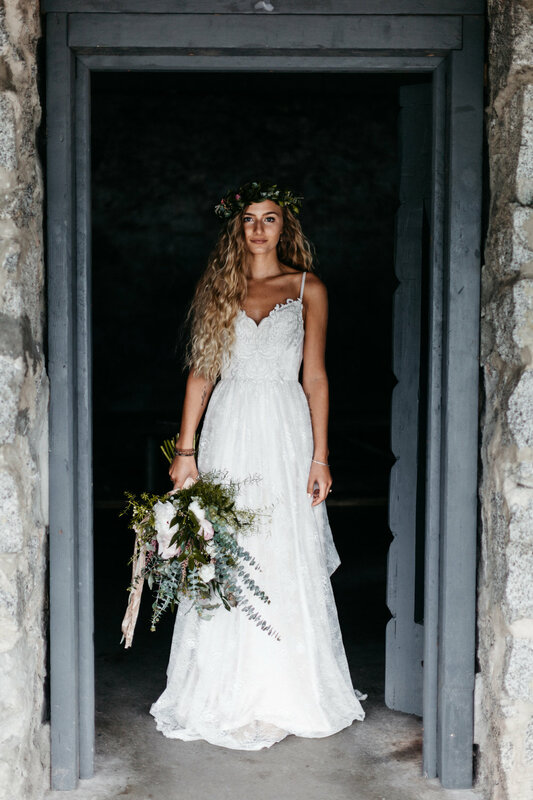 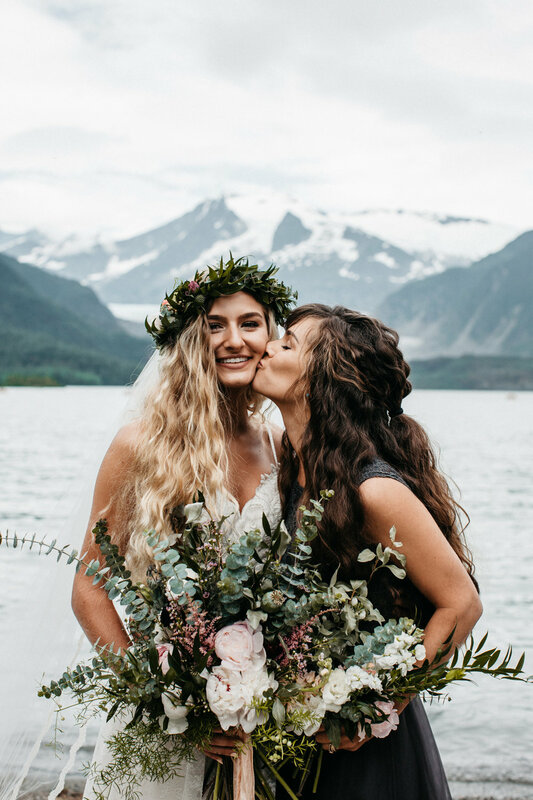 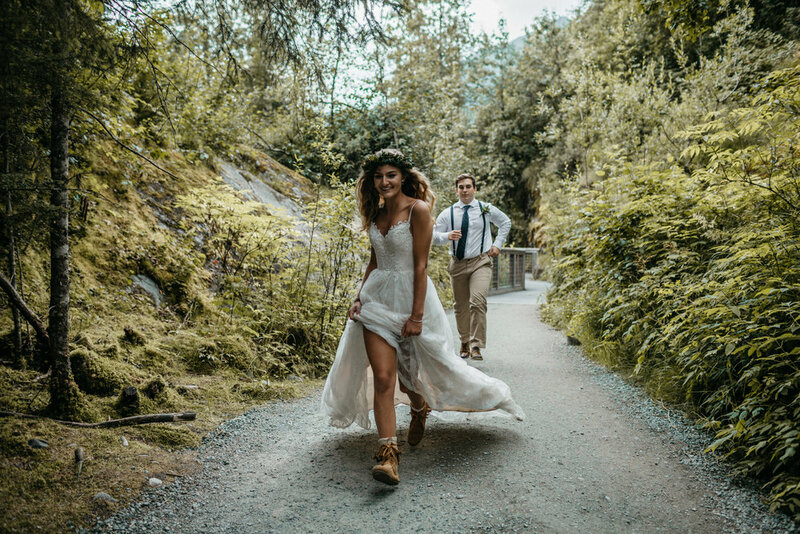 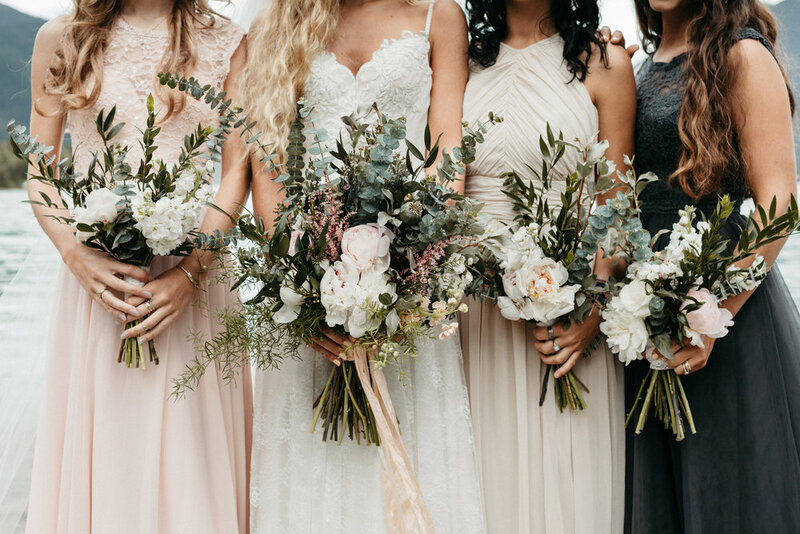 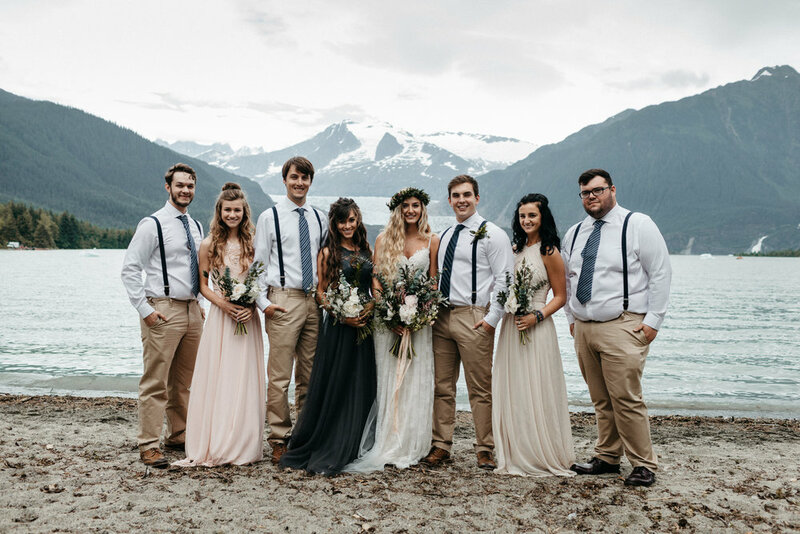 This elopement in Juneau was nothing short of a fairytale! 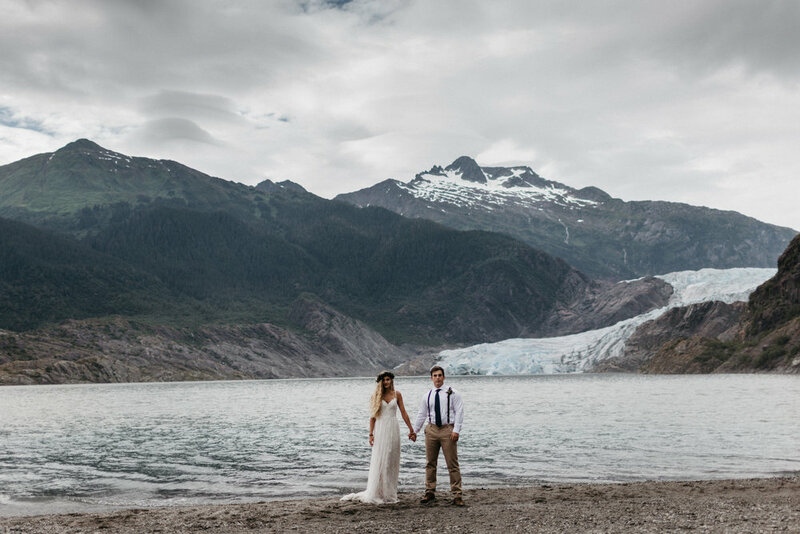 We spent almost a full year in communication making plans in order to give this couple the wedding of their dreams. 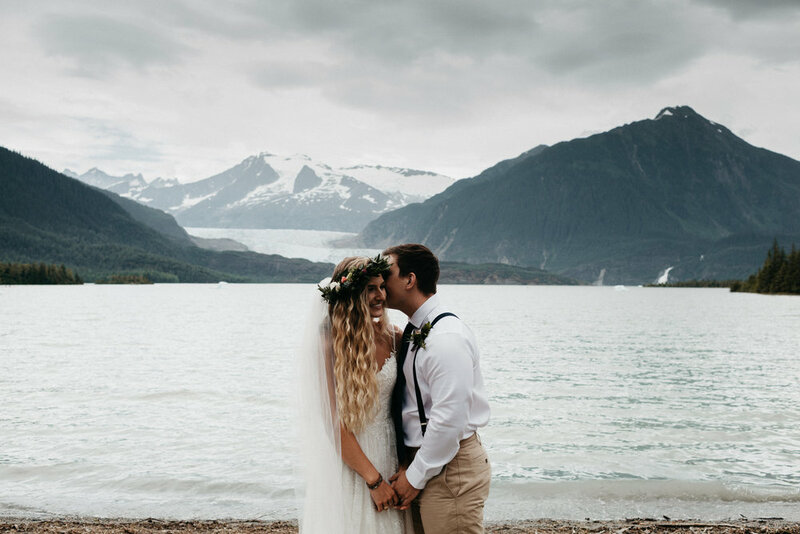 Their photographer, Joel Allegretto, traveled all of the way from Texas to capture this beautiful day and their flowers made the journey in a very large box via airplane all the way from Anchorage! 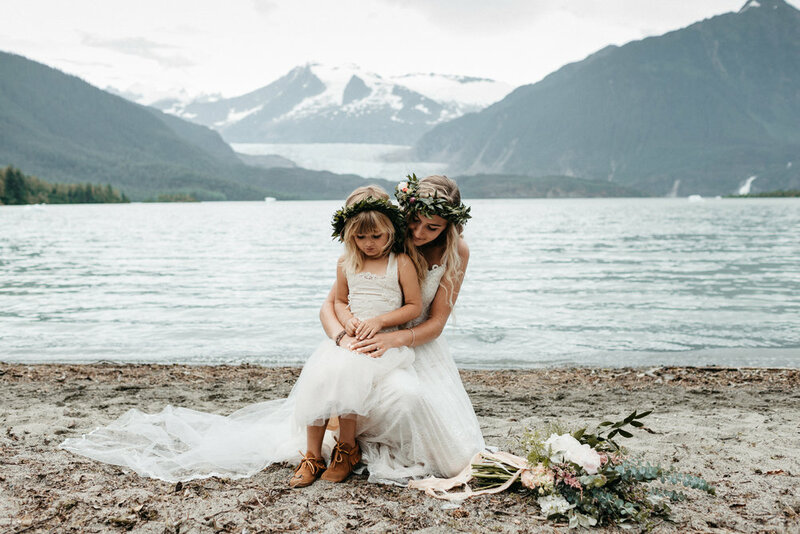 Luckily this was not the first time our friends from Bloomsbury Blooms has sent flowers with someone on an airplane. 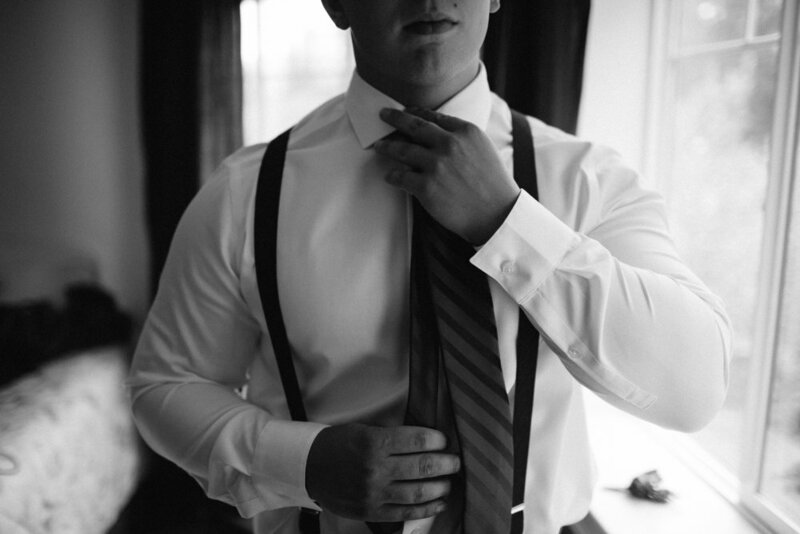 Explaining that piece of luggage to the ticketing agent was nothing short of interesting. 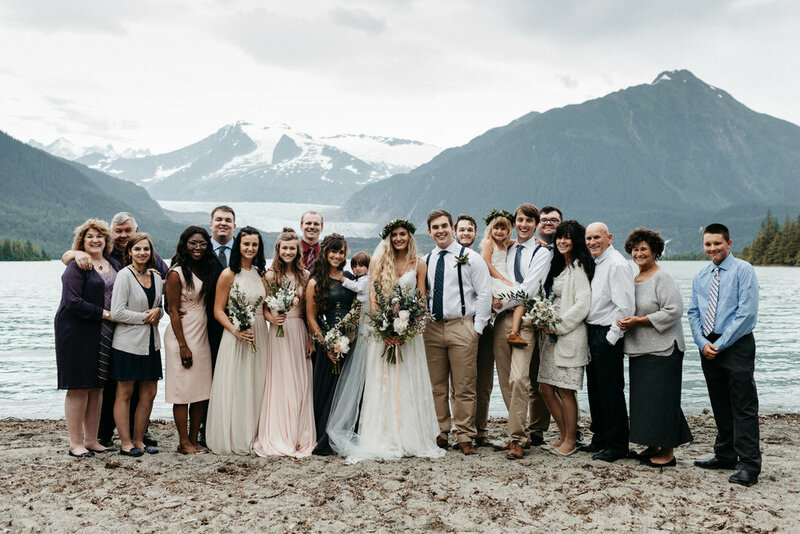 This group came to Alaska from Michigan, and for many, this was the first time they have visited our beautiful state. 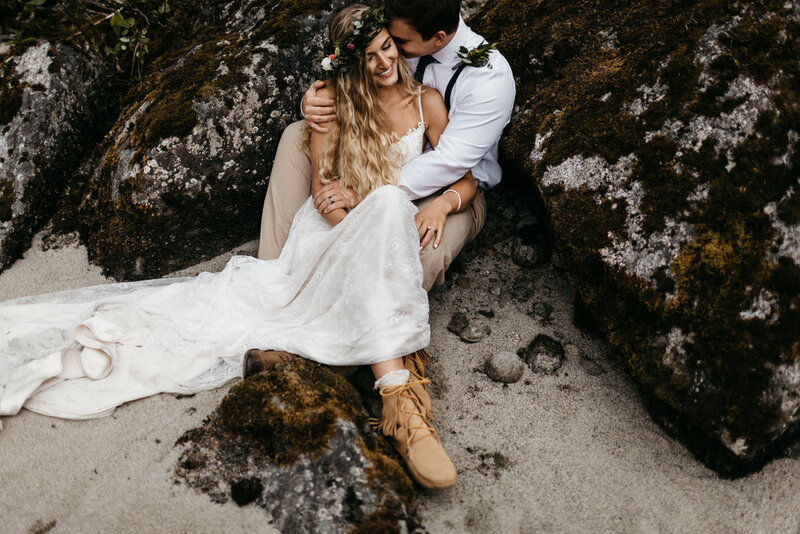 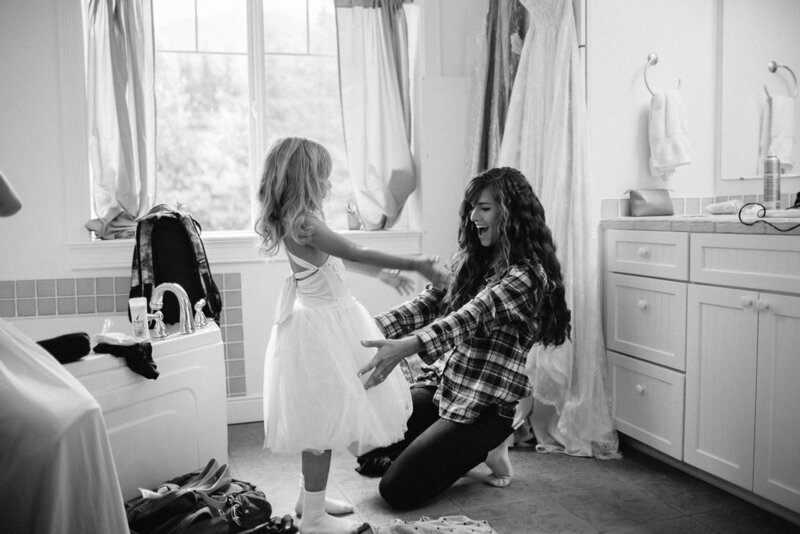 Their wedding day was filled with so much laughter and joy! 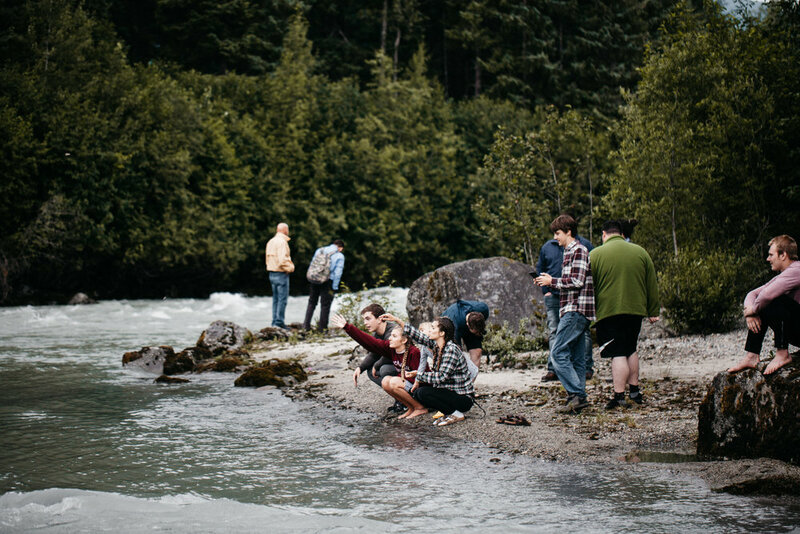 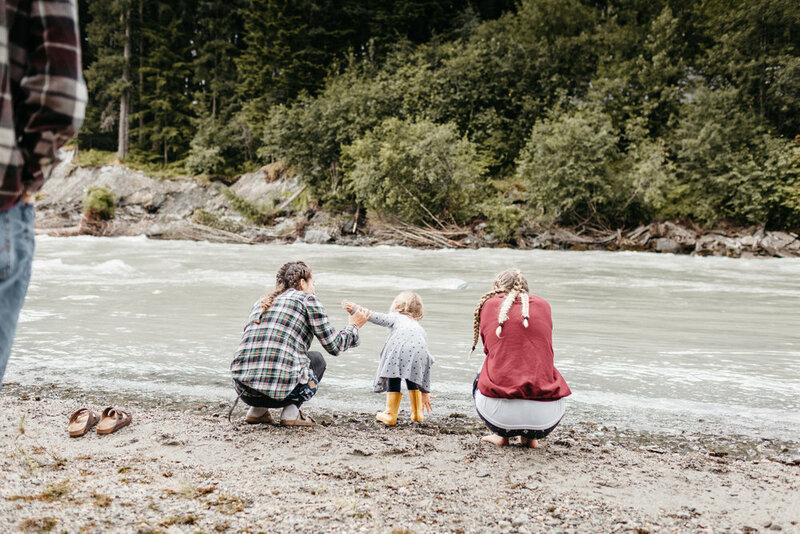 We were able to host all of the "getting ready" activities at a private home that was nestled on a glacially fed river that was especially appreciated by all of the men skipping rocks! 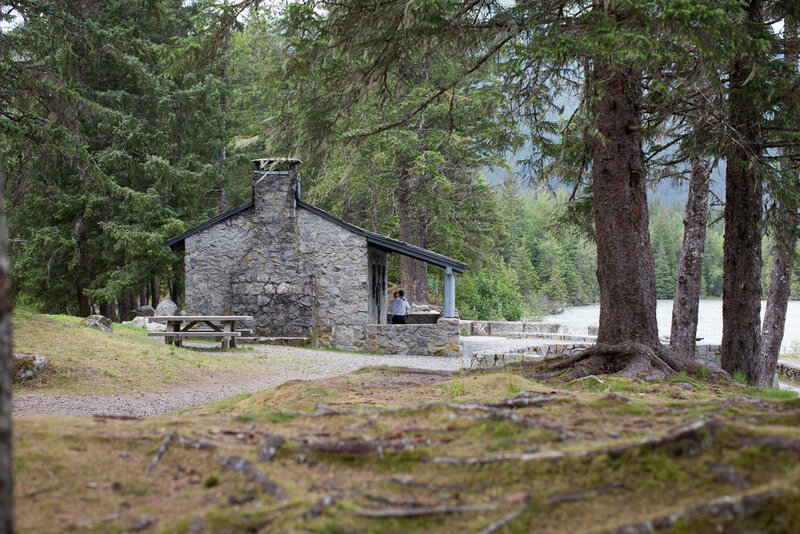 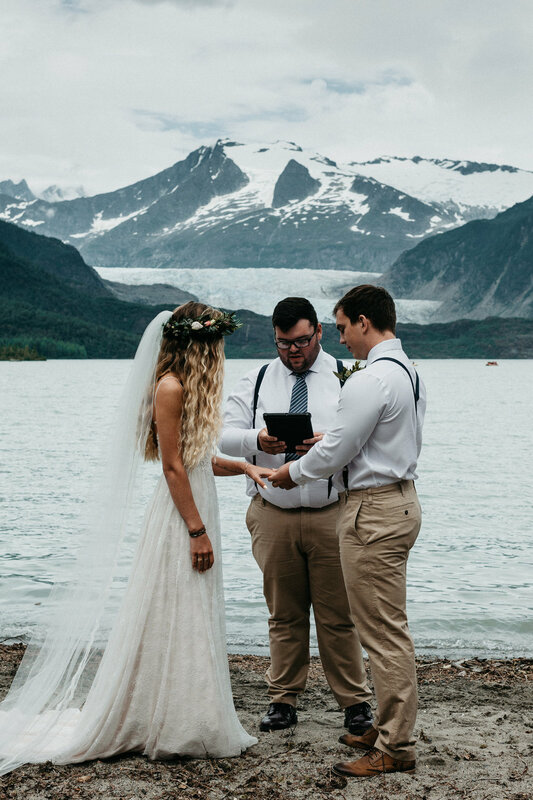 Skater's Cabin is a delightful stone structure that overlooks Mendenhall Glacier and it ended up being the perfect spot to host their ceremony. 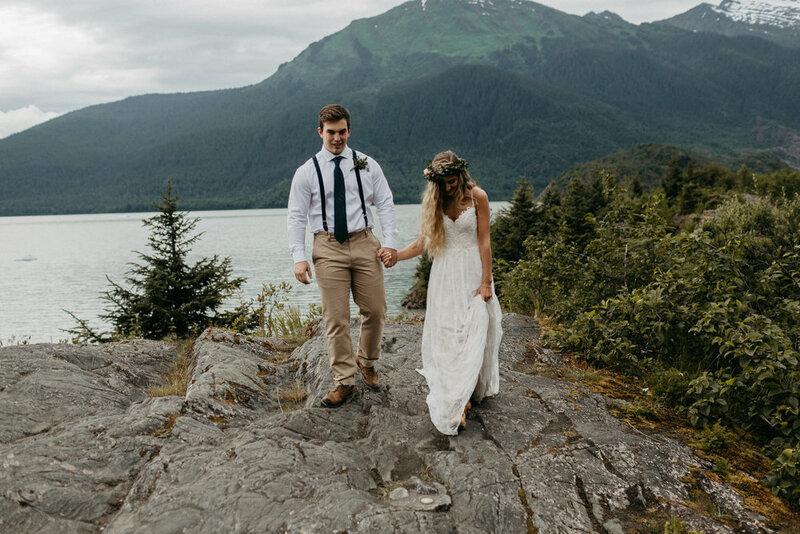 This day was full of new discoveries, love and nature. 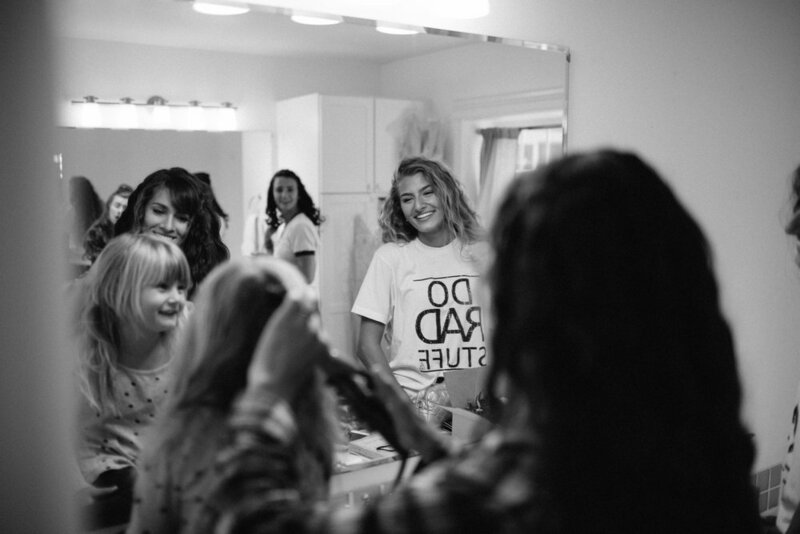 We were so honored to be a part of it! 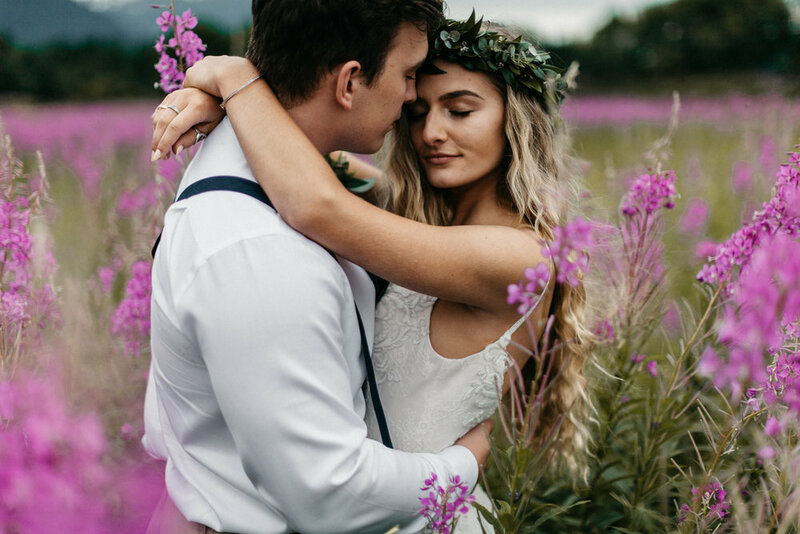 Congratulations to Hannah and Charlie and we wish you many happy years together!